Today I will be talking about my career plans. My previous career plan was to be the white Michael Jordan. That was always my dream. Now, my career plan is to be a professional UFC fighter. One of the reasons for that decision is when we first moved to this neighborhood there was a kid named ____ (name withheld for liability reasons). We had been friends for around two weeks when for no apparent reason he started messing with my younger brother Benaiah. I told him not to mess with my brother. So let’s just say by the time that fiasco was over the kid whose name I won’t say had a bloody nose and a black eye. After that his 15-year-old brother didn’t like that I took whatshisname down, so he tried to beat me up. I literally flipped him into the grass. So I am going to start taking tae kwon do, and then I will start taking judo, and when I am old enough I will try to get into the UFC lightweight category. That is my new career plan. PEACE OUT!!!! 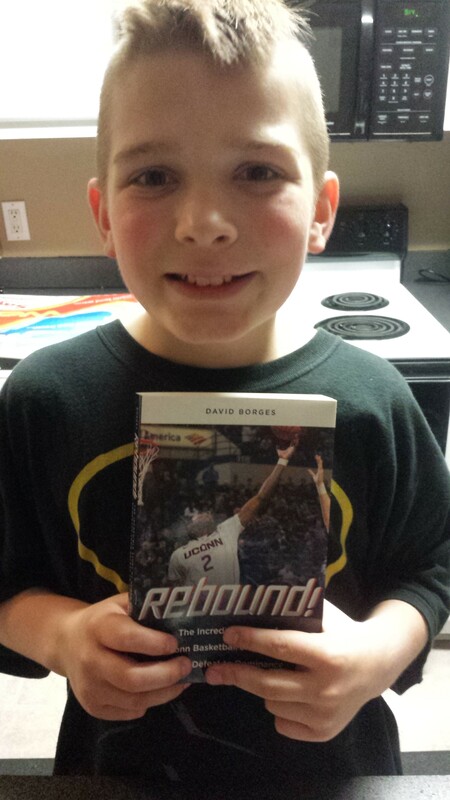 The book Rebound! was written by David Borges. I wanted to read this book because I wanted to know more about basketball. My life goal is to become the white Michael Jordan. 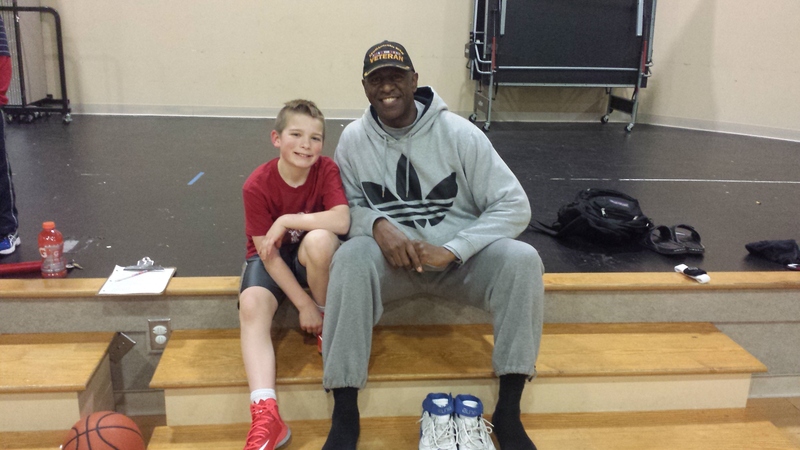 I love the game of basketball, and I think Michael Jordan was the greatest player ever. I have to practice a lot, but I also want to learn about what made the greats so great. I have watched Jordan’s old games, and I want to also learn about great coaches. I enjoy reading about how they brought their teams up and gave them honor. I thought this was a good book. Calhoun sounds like a pretty cool guy. I didn’t read much past the first chapter because I couldn’t get interested in the information. Rebound!, was a little out of my age level. This would be better for a high school basketball player looking for a good college. And that is what I think about this book. My life goal is to be “the white Michael Jordan”. To do that I try to get the best information on what I need to do to get ready. I try my best to make connections with experienced players. I interviewed a man my dad knows named Willis Johnson, who used to play pro basketball in the European league. I first asked him what it was like playing in Europe. He said that it was very cool. The people that are in charge of the European league send scouts to places in America to basketball games. They saw Willis playing when he was playing in college and asked him if he wanted to play in Luxembourg. Of course he said yes. When he signed up to play for them they also paid for an apartment and a car. I thought that was very cool. The second question was how many years did he play? He played for 3 years in Luxembourg and 5 years in the Dominican Republic. I also asked him if he had broken any records. He said he almost met the record of how many points you could make in a game. It was 55. He made 50 once and averaged 32 points per game. Then I asked him if he made any good friends. He said the scouts would pick several Americans for their league. Since they were the only Americans they would become really good friends. I then asked if he had played anywhere else. He played in college and also for the Fort Riley base team in the Army. I asked him if he ever had any other jobs in basket ball. When he took a break during college he coached a high school basketball team and won the state championship. He also coaches in the Upward basketball league for kids. Just for the fun of it asked him how tall he was. He is 6’8”. Play against older people so you work harder so when you play to people your age. Then you can destroy them. You don’t need to be one dimensional. Be good at everything, not just shooting or passing. He let me know that I need eat right. He said stretching and building muscle is also important for gathering enough strength and endurance to play the game to the best of my ability. I want to thank to coach Willis Johnson for taking the time to talk with me.